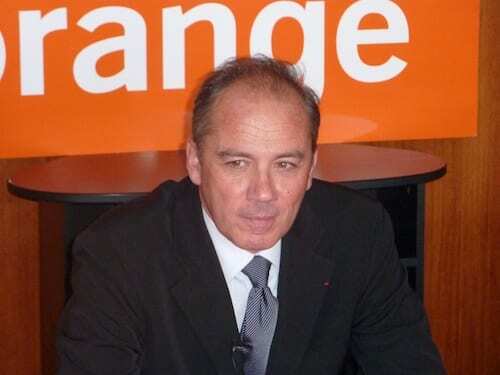 "Apple is now a little less arrogant than it used to be before Tim Cook became CEO," said Stephane Richard, CEO of Telecom-Orange group during a dinner he had with journalists at Mobile World Congress Barcelona. Interesting statements of the manager of a telephone company that dominates in Europe. Richard, also added, "you have the feeling that Apple's now an environment with less pressure than there used to be before (with Steve Jobs)" and notes that "Apple now seems to realize that there are other companies." Clearly, Steve Jobs was a person of character and lacks flexibility. Stephane Richard has confirmed with these words and stressed that at present "A pple are much more flexible than it used to be." And the arrival of the iPhone to international operators was not as simple as one might expect, and that economic conditions imposed by Apple only book their products to those companies willing to invest several million dollars. Moreover, during this informal dinner held with journalists from around the world at the MWC in Barcelona, ​​Stephane Richard acknowledged that Android and iOS dominate the market right now and that other options like Windows Phone "have it really hard to compete with the two large ". The article "Apple is far less arrogant than it used to be," says CEO of Orange was originally published in News iPhone .